Updated at 5:13 p.m. with a statement from Scott spokesman Jason Gibbs. Gov. Peter Shumlin has taken some heat for declaring that he will appoint a replacement for retiring Vermont Supreme Court Justice John Dooley, who will formally leave the bench months after Shumlin surrenders the keys to the governor’s office to Republican Phil Scott. There will apparently be no such controversy in replacing another pivotal legal position — Chittenden County state’s attorney. T.J. Donovan, who currently holds that office, will be sworn in as Vermont’s new attorney general in January, two years before his term in Chittenden County expires. There had been whispers that Donovan could officially resign his current position in the coming weeks, affording Shumlin, a fellow Democrat, the chance to name his replacement. But in an interview with Seven Days, Donovan said he won’t do that. Donovan said he hoped to discuss the issue with Scott in the coming weeks. The Chittenden County State’s Attorney’s Office is by far the largest of its kind in Vermont, with 24 staffers and more than 5,000 annual cases. * Sen. Patrick Leahy (D-Vt.) used it as a springboard to higher office, and now Donovan is making the leap. Donovan’s replacement will also be tasked with carrying forward — or potentially dismantling — his Rapid Intervention Community Court, an alternative justice program that has been cited as a model for criminal justice reform. While it was not a big issue during the gubernatorial campaign, Scott has voiced some support for criminal justice reform, Donovan said. 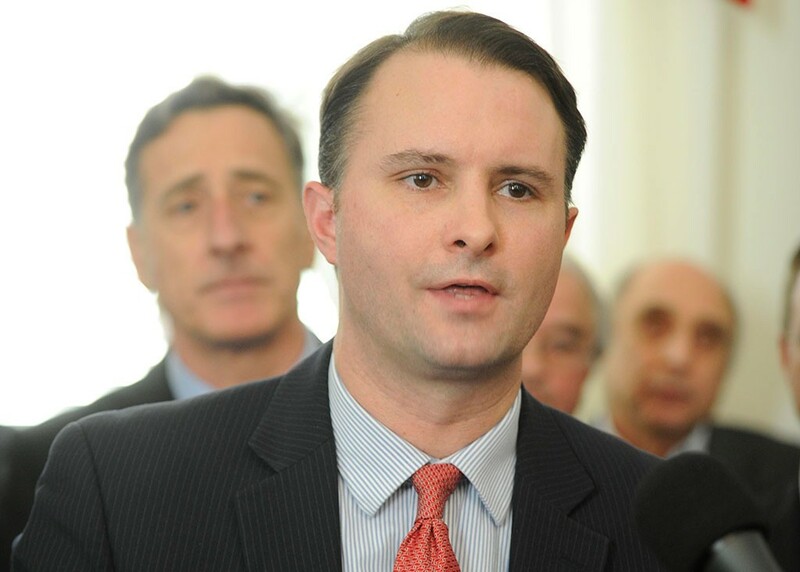 Shumlin spokesman Scott Coriell said the governor would defer to Donovan on whether he would resign early. Scott’s spokesman, Jason Gibbs, said the governor elect supports criminal justice reform initiatives and would likely seek Donovan’s recommendation before appointing a successor. “We are aware of the discussion and the governor elect’s feeling is that the timing is up to the attorney general elect,” Gibbs said. Rumored candidates to replace Donovan include his handpicked top deputy, Bram Kranichfeld, along with deputy state’s attorney Sarah George, Colchester attorney Ted Kenney — who ran for the office against Donovan in the 2006 Democratic primary — and Burlington defense attorney and Donovan campaign donor Brooks McArthur. Donovan declined to discuss potential successors. *Correction, November 22, 2016: A previous version of this story misidentified the number of staff in the Chittenden County State's Attorney's Office.